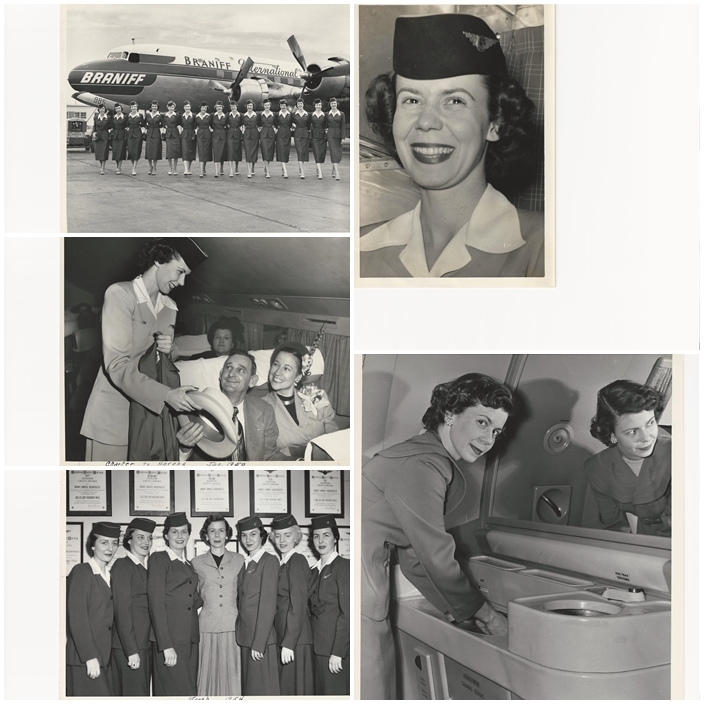 Head shot of Mary was in 1947, flight attendants in front of airplane Helen Hopkins first on the left. 4 standing in front of door are Gloria Caddll, Jean Duncan, Mary Moffett and Sue Emerson. 6 hostesses with Mary in the middle, from left,Jan Evans, Jackie Farris, Joan Smith, Mary, Joyce Larson, Lee Jones, Reitha Kahn. Mary taking hat from passenger on charter to Havana in 1950. DC-7C pre inaugural flight greeting Wm. Blakley is Jean Duncan and Mary Moffett. Mary and her class. Mary checking out the blue room. Barbara Clark started her career with Braniff in 1962 and stayed with Braniff until 1989. She is the red head in the attached picture with Cathy Rigby and Maggie Benesh. All three graduated from training in the same class 50 years ago. 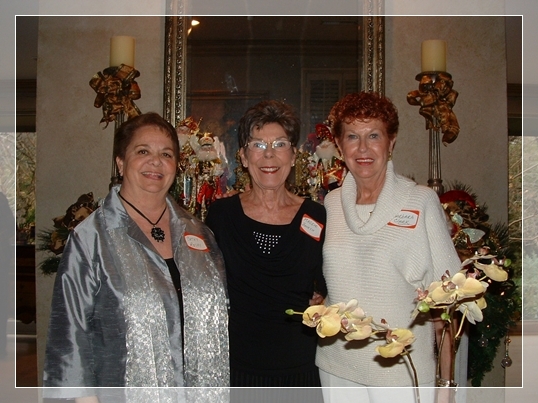 This picture was taken at the Sherry Party 2012 when Cathy Rigby, Maggie Benesh and Barbara were celebrating their 50th anniversary with Braniff.